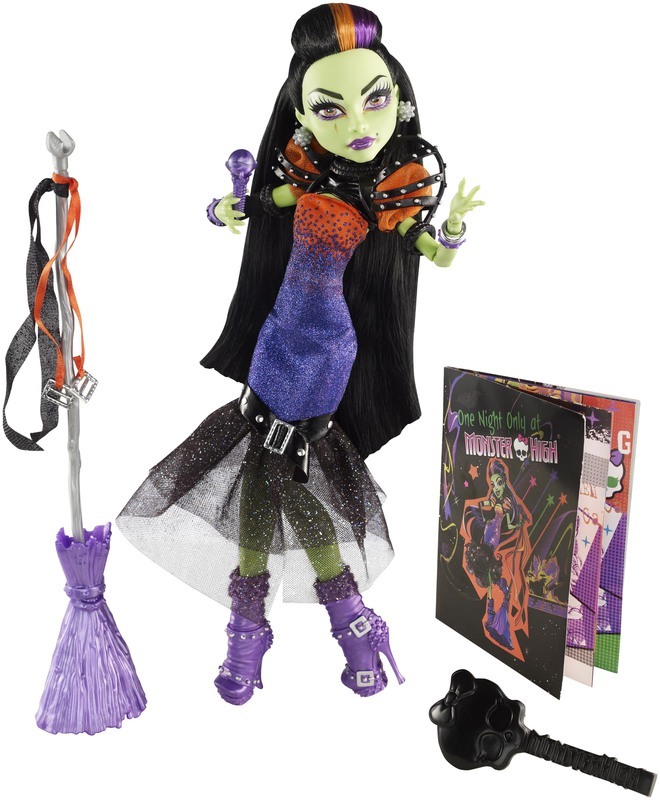 Casta Fierce will be rocking with the student disem-body of Monster High this All Hallows Eve when she and her band perform their monster hits - it's the most exclusive ticket in the monsterrific universe. The Daughter of Circe has always been a drama queen - and this sparkling flared gown is brimming with drama! An ombre effect is created on the orange fabric of the bodice with purple-shaded beading; a black belt with buckle and sheer layers make up the fishtail skirt. Wicked cool puffed sleeves, buckles and straps are killer touches, while enchanting accessories (bewitching boots and bangles) complete the outfit. 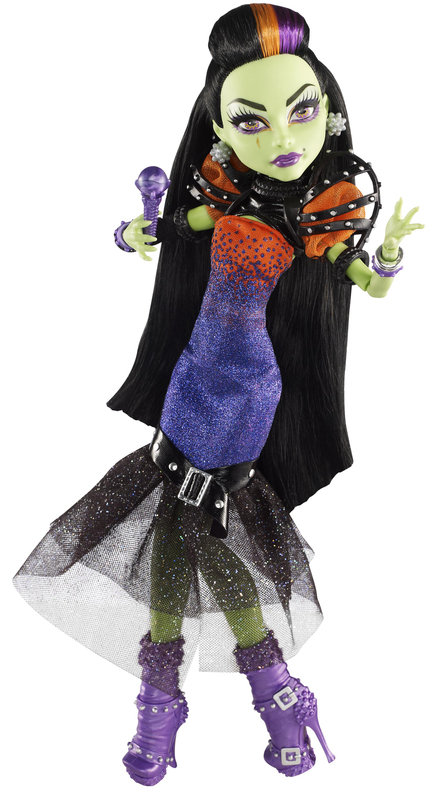 Always an entertainer, Casta Fierce doll comes with a microphone she can hold in her hand or clip into her broom, which doubles as a mic stand! Use the brush to get her ready to rock the stage, and read more gory details about her mon-stardom in her diary. Doll cannot stand alone. 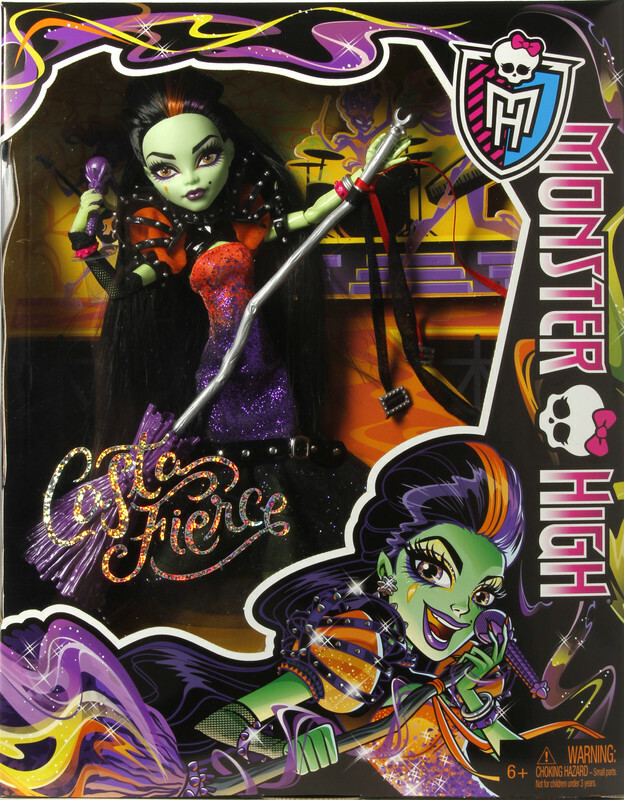 Casta Fierce band concert at Monster High will be the most exclusive ticket in the monsterrific universe this All Hallows Eve. The Daughter of Circe brims with drama in a sparkling flared gown. Ombre beading, silvery buckles and black strap decorate the gore-geous dress. Bewitching accessories include matching bangles and purple booties. 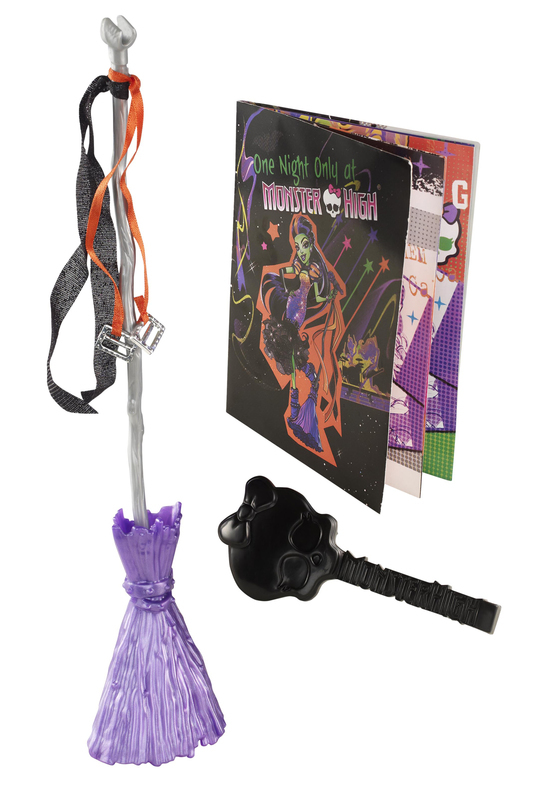 Her enchanting broom doubles as a stand for her microphone!